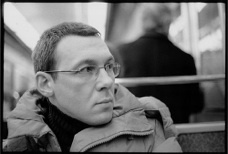 Didier Léglise wrote his first musical compositions when he studied fine arts in Bordeaux. After participating in different local musical bands he decided to compose for living arts. As he thought that sound quality and acoustic mastery were an essential element in his works, he got knowledge in sound engineering. Living in Paris since 1998 he composes for contemporary dance and theatre, video games, documentary films… Since 2004 he has been extending his sound creations in sensorial marketing and real time interactive systems.